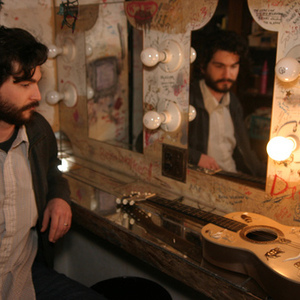 Detroit-based acoustic guitarist Nick Schillace is in an Afrobeat big band and a post-rock duo. He composes, improvises and backs up singers in string and traditional ensembles. But he's not a band guy. Sure, he did what you probably did in high school, answering friends' calls for help with their projects and building his reputation as an electric guitar player. Nick kept it up through five years of journalism study, or long enough to realize that he really didn't want his fate as a musician to rest on somebody else's whim. He quit his bands, enrolled in music school, and began pouring every idea into six strings wound to wood. Nick was well prepared, as his parents-early members of the Detroit Blues Society and musicians themselves had toted him to folk music workshops throughout the South during his childhood. There, he met and studied with still-living purveyors of traditional music. In college, he looked back at that past through the first generation of steel-string composers. Nick dug into their releases, transcribing and studying the disparate styles but eventually arriving at an ultimate axiom: Musicians of the highest order explored their own tastes and idiosyncrasies as players, listeners and people to create highly individual music. That lesson was reinforced by a comprehensive graduate thesis focusing on Twentieth-Century American musical identity and a process for analyzing musicians in a neutral and comprehensive way. Nick got to work, applying his findings to his own music and releasing Box Canyon, his debut for acoustic guitar, three years ago. But Landscape and People, his second album and first for Burly Time Records, is the real arrival: Like the journalist he almost became, Nick's memories narrate these tunes as his fingers spin the projector. Through it all, Nick never sounds like he's reciting or showcasing. Rather, he sounds fresh and untouched, carefully composing stories that read themselves to you with smiles, winks and nods.